For your convenience, we work directly with your insurance company or agent. Rental vehicles and towing services are also available if required. Our shop is located conveniently near the Metro Milwaukee area and is easily accessible. When you choose International Autos Body Shop in West Allis, you can count on us to return your luxury vehicle back to you in impeccable condition. For more information about the services we offer, or if you are interested in making an appointment, please fill out an online request form or give us a call now at 414-727-6799. We look forward to hearing from you. 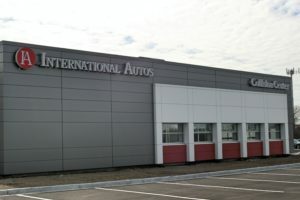 International Autos Body Shop proudly serves West Allis, Waukesha, Brookfield, and all of Milwaukee’s surrounding suburbs.